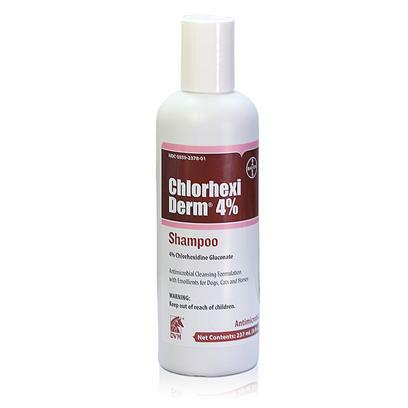 Chlorhexiderm Shampoo is a complete shampoo for pets including cats, dogs and horses. While maintaining a proper pH balance, this dual-action Chlorhexiderm Shampoo cleans skin with an astringent, antimicrobial formula and becomes an emollient conditioner for a smoother coat. Great Smelling and Cleans Wonderfully!